An elegantly tailored tunic that makes for a perfect festive wear outfit! 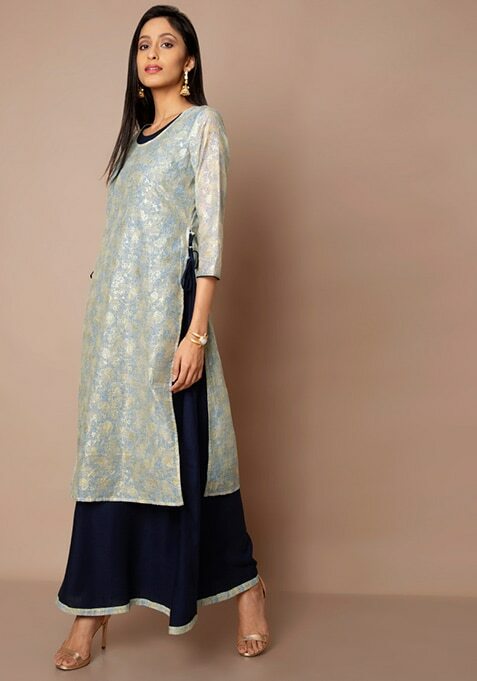 Features a floral chanderi print kurti with a navy blue maxi tunic inside. Work It: Looks fabulous with chandbalis and subtle makeup.